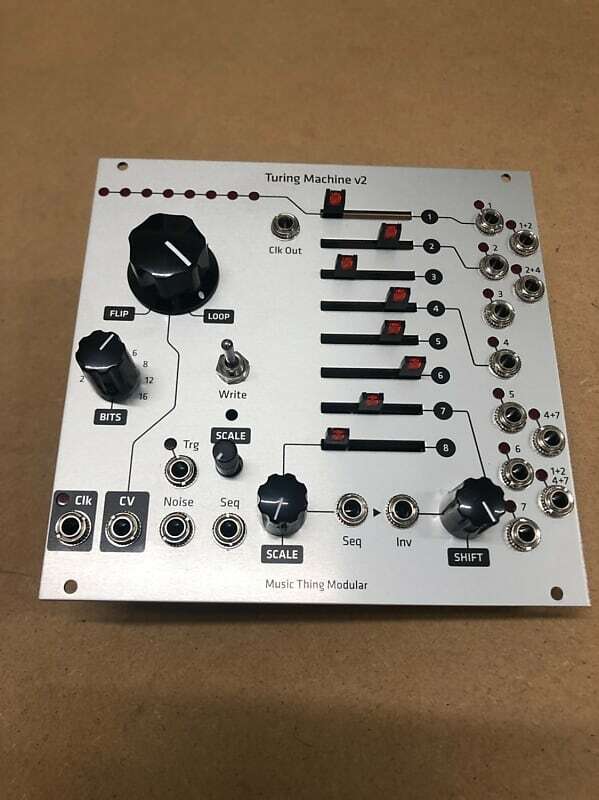 MarkII Turing machine with voltages and pulses expanders with a greyscale aluminium panel. Built in a ESD safe environment with high quality components. The Turing machine will shop with a power cable and knurlies. Turing Machine is a random looping sequencer made from logic chips. It's a popular DIY project with a wide range of expanders. It spits out basslines and melodies. Pulses Expander adds eleven rhythmic outputs to the Turing Machine. The looping pulse sequences related to the master clock are great for wonky drum patterns. Voltages Expander is the bigger brother of Volts, adding two CV outs to a Turing Machine.